In late January 2016 a Pellston Workshop™ on “Global Guidance for Life Cycle Impact Assessment Indicators and Methods” was held in Valencia, Spain. 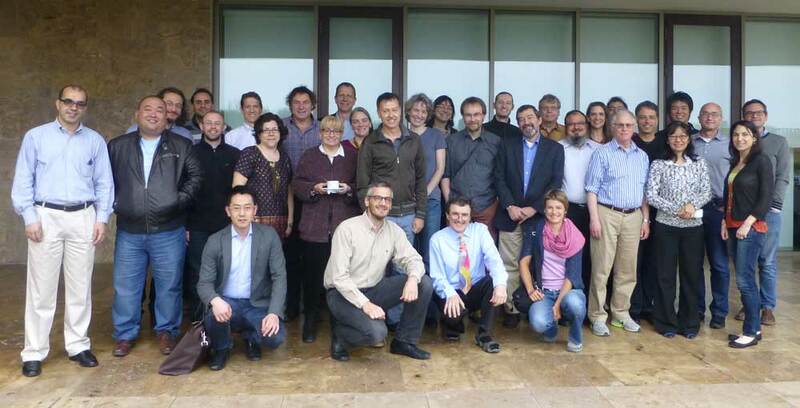 The goal of the workshop was to reach consensus on recommended environmental indicators and characterisation factors for Life Cycle Impact Assessment (LCIA) in the areas of global warming, particulate matter emissions, water use impacts (both scarcity and human health impacts), land use impacts on biodiversity as well as overall LCIA framework and crosscutting issues. An extensive two years’ preparation work preceded the workshop, which resulted in topical white papers. These white papers described potential recommendations and were an excellent basis for the consensus finding process and the drafting of final recommendations. The 40 participants represented a well-balanced mixture of LCA experts and domain experts as well as LCA users from industry, governments and NGOs on one hand and different regions on the other. The one week workshop was characterised by intensive discussions, exchange of arguments and positions. We were pleased to witness passion but at the same time openness and fairness. Finally, the participants agreed on tangible and practical recommendations on environmental indicators, including substantial innovations. Overall framework: The overall framework was slightly revised distinguishing between intrinsic, instrumental and cultural values and the damage categories human health and ecosystem quality (intrinsic), socio-economic assets, natural resources and ecosystem services (instrumental) as well as cultural and natural heritage (cultural). Crosscutting issues human health, ecosystem quality, natural resources and ecosystem services: The recommended damage category indicators are disability adjusted life years (DALY, human health) and biodiversity loss (ecosystem quality). No specific damage category indicator is recommended for natural resources and for ecosystem services at this point. Climate Change: It is recommended to use two metrics from the 5th IPCC assessment report (2013), namely Global Warming Potential 100 year (GWP-100), representing the shorter term impacts of climate change, and Global Temperature Potential 100 years (GTP-100), representing the long term climate change impacts. It is also recommended to use the metrics including climate-carbon cycle feedbacks for all climate forcers (so far only included for CO2) and to address the climate change impacts of near term climate forcers in sensitivity analyses. Particulate matter impacts: Recommended primary PM characterisation factors and interim secondary PM characterisation factors are established which distinguish between rural and urban areas and between indoor and outdoor emissions. The outdoor characterisation factors further distinguish between ground level and stack PM emissions. Water scarcity: AWARE is the recommended indicator based on the inverse of the water availability minus water demand. This is an interim recommendation until 10 case studies prove its maturity, performing sensitivity analyses with a conceptually different method. Some of such case studies are on-going, but interested LCA practitioners are welcome to contribute to this testing. Water use impacts on human health: Characterisation factors are recommended which describe agricultural water deprivation impacts and their consequences on human health. Additional tests in LCA case studies are recommended. Land use impacts on biodiversity: Characterization factors (CFs) representing global potential species loss from land use are provisionally recommended as suitable to assess impacts on biodiversity due to land use and land use change as hotspot analysis in LCA only (not for comparative assertions nor eco-labelling). Further testing of the CFs as well as the development of CFs for further land use types are required to provide full recommendation. Further crosscutting issues: Several recommendations and suggestions were formulated covering the topics of transparent reporting, reference state, spatial differentiation, uncertainties, time frames, handling of negative characterisation factors. Each group also provided tables of recommended characterisation factors to operationalize the application of the recommended indicators. This will bring LCA and LCIA in particular a big step ahead. The results achieved during this week by far exceeded the rather high expectations of the participants. This shows that such a science-based consensus finding process does not inhibit scientific knowledge but rather promotes progress in science, and at the same time fosters the practicality and robustness of the recommended indicators by engaging the user community. The participants also mutually agreed to seize the momentum created to install a structure providing stewardship for both recommended characterisation factors as well as for enabling their regular update in the future. For the time being the Life Cycle Initiative LCIA flagship project is well suited to initiate this structure. The next work steps comprise a harmonisation of the contents of the different chapters, a final review by the Task Force members, a review by the Technical Review Committee (TRC) of the Life Cycle Initiative as well as final editing, printing and publication of the UNEP SETAC Report. In parallel a scientific paper is being prepared which summarises the main achievements and recommendations. The official launch of the Valencia Guidance on LCIA is scheduled for the Eco-balance conference 2016. We wish to thank all participants for this intensive but fun and unforgettable experience. And we would like to thank Llorenç Mila i Canals, Feng Wang and Veerle Vandeveire from UNEP and Bruce Vigon, Roel Evens and Barbara Koelmann from SETAC for their ongoing and invaluable upfront and onsite support. It helped us and the experts to fully concentrate on contents and to enjoy the professional and delicious service of our host. Finally our sincere thanks go to the sponsors of this flagship project as well as of the Pellston WorkshopTM, in particular The Swiss Federal Office for the Environment, the German Federal Ministry for the Environment, Nature Conservation, Building and Nuclear Safety, the French Ministry for Ecology, Sustainable Development and Energy, the Alliance for Beverage Cartons and the Environment, and Rio Tinto.